These are busy times. We saw a lot of you on DojoCon, the Thank You day or CoderDojo4Divas/Cool Girls Code. A lot of Dojos put in some extra effort by contributing to EU Code Week, CoderDojo4All, dag v/d wetenschap and many others! 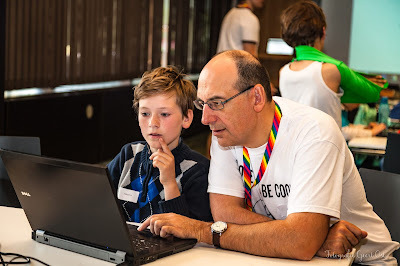 October meant the end of an era for CoderDojo Belgium. Bettina decided to leave CoderDojo and reserve some time for other dreams. I believe I speak for everyone by saying that she will be dearly missed. Read her farewell interview and many other topics in this month’s newsletter.